The unveiling of a set of priceless illustrations of Dante’s Divine Comedy at the Uffizi Gallery exposes the unsuspecting Professor Gabriel Emerson and his beloved wife, Julianne, to a mysterious and dangerous enemy. 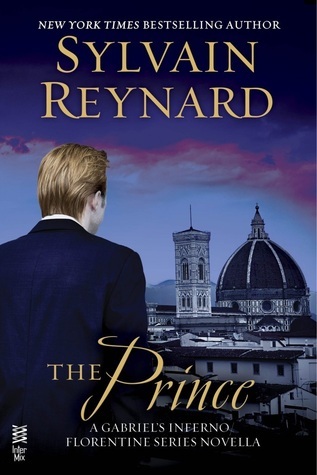 Set in the city of Florence, “The Prince” is a prequel novella to “The Raven,” which is the first book in the new Florentine Series Trilogy by Sylvain Reynard. As a reader I always consider it a gift when I can get my hands on anything written by SR, because I truly love his particular writing style. It’s fluid, and brings the narrative to life with beautiful descriptions that allow me to experience the story as I’m reading it. I also know that along the journey SR will take me on, I’ll be immersed in the arts…paintings, literature, and music will accompany the tale I’m being told, and add depth to the richness. And hey…a trip abroad to the beautiful city of Florence, Italy? That’s yet another bonus. As a huge fan of the Gabriel Inferno series, I was ecstatic to read the scenes with Gabriel and Julianne. If by chance you haven’t read that series let me just say this…WHY the HELL not?!? It’s one of my all time favorites people, and even tho it’s not required in order to enjoy and appreciate, The Prince, I would highly, HIGHLY recommend it. If you have read it, I want to advise you to have Gabriel’s Redemption at hand while you’re reading The Prince. The story is fast paced, exciting, intriguing, full of action, splashes of snarky humor, and left me with several questions. Will the Prince exact his particular brand of justice upon my beloved Gabriel Emerson for his perceived misdeeds against the Prince? Something seems to be amiss as far as Julia is concerned. Should I be worried about that as well?!? Because I am. I can only imagine that it’s quite daunting when an author chooses to cross over into another genre as SR has done, but he’s done so brilliantly. He’s created a dark underworld which is complex, unique, and so compelling that you’ll be swept away and dying to get your hands on The Raven. As I said at the beginning, this is a must read, and as it releases tomorrow (Jan. 20) you should have it locked and loaded to go on your e-reader. If you didn’t pre-order yet…now’s the time and place. 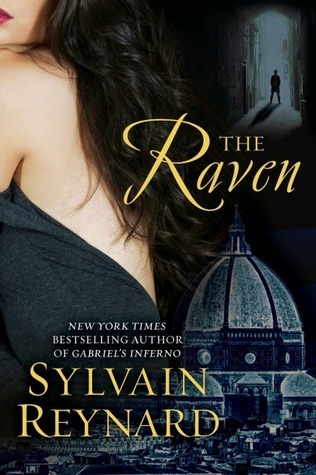 This entry was posted in Book Recommendation, Books, Favorite Authors, Reviews, Sylvain Reynard, The Prince, Upcoming Release and tagged Book Recommendation, Books, favorite authors, Review, Sylvain Reynard, The Prince, Upcoming Release. I am so excited for this to be released tomorrow! I have pre-ordered it and will be dropping everything to read it. Lovely review!